In the 9th and final round of tuesday night marathon, fall 2013 I won against Oleg Shakhnazarov (USCF rating 2187) who was solely leading the board with 7 out of 8. Natalya won a seemingly lost middle game against Brendan La Counte and hence thanks to my victory against Oleg, became champion with 7.5 points out 9. Oleg and I are runners up with 7 out of 9. In 3rd board IM Eliott Winslow defeated Ivanov and hence he is one of the several in joint 4th position with 6.5 out of 9. I have been playing tuesday night marathon for more than a year now in Mechanics Chess Institute, San Francisco which just walking distance from my office. I never could be part of top 10 earlier. And now this time runners up! I am very happy with my performance although I believe I was very lucky last 3 rounds. For example, in this final round Oleg started a wild aggressive attack in the king side, being black and all his pieces undeveloped which was the result of a poor unorthodox opening. So as I defended coolly, he didn't have much chance the entire game except at the very end when I made a mistake and lost a piece that I was up, giving him practical drawing chances. However, due to time pressure, he couldn't afford the calculations needed and simply went to a same color bihsop end game to win back the piece he was down. That end game was a dead win for me and so I had no difficulty to win both by position and time. But last week in 8th round Russell Wong (USCF rating 2200) had a winning position being exchange up against me. However, he couldn't find the correct defence for the counter attack I got as a compensation, and hence he lost. In the seventh round Alex Steger (USCF rating 2041) gave me the break by blundering a piece in an equal position. Being a FIDE rated event, I believe now my FIDE rating will also increase. My USCF rating before this tournament was 1882 and after this is going to be 1990, a hoping 108 points added! The final standings of the tournament can be found here. IM John Donaldson mentioned me in the 652nd newsletter of Mechanics Chess Institute while reporting on the final round - http://chessclub.org/news.php?n=652 . From this newsletter I came to know I have won $250 also from this tournament! 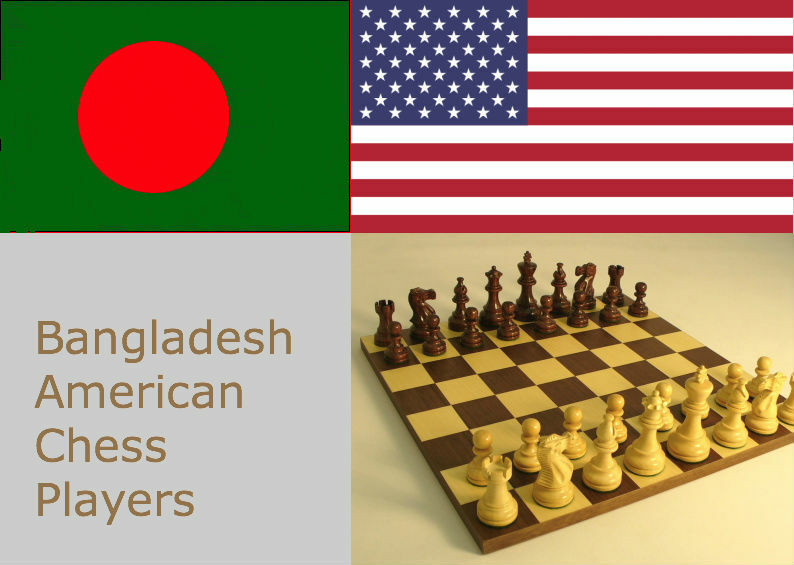 Now looking forward to the North American Open next week in Las Vegas where my son will also play along with a few other Bangladeshi chess players one of whom are coming from Dhaka.